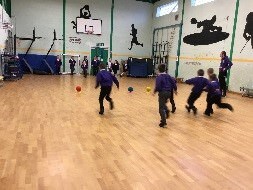 Our Breakfast Club opens at 8am Monday to Friday. 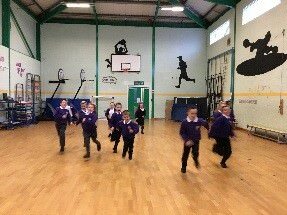 The children can come in between 8.00 and 8.30. The doors close at 8.30 to give the staff time to finish serving breakfast and wash up before school starts at 8.50 so no children will be admitted after 8.30. 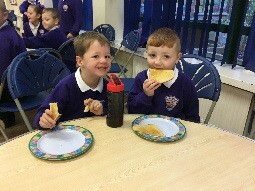 The children are offered a wide range of healthy cereals or toast with a choice of fruit juices, milk, or water to drink. 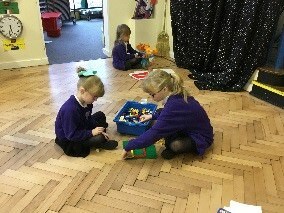 We have a wide range of stimulating activities/games to keep the children entertained. 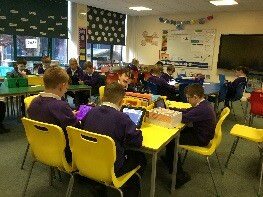 They can spend time in the hall playing board games, go to the ICT Suite and work on a computer, have time playing on school based apps on their iPads or take part in sports activities in the gym. We understand many parents are desperate for their child to attend Breakfast Club but due to Health and Safety regulations and Fire regulations, we only have 120 places available. We have over 450 children in school. Letters go out every year in July to ask you to come in and sign up for September. The forms are then put into four categories: Single Parents, Working Parents, Non-Working parents and Looked After Children. They are then pulled out of a hat in those categories to make it as fair as we can. Greggs fund 30 places for us but we fund the rest of the places. If you are not successful, you will be automatically put on the waiting list for that year. However, the only way you will get a place is if someone leaves. We check the register every half term (6 weeks) and if the places are not being used you will receive a letter from us telling you your child has lost their place. This is the fairest way to do this as we always have children waiting for a place. You must re-apply every year too as this gives everyone an equal chance. The applications forms are available from the school office or you can download them from the website. They must ALL be returned to the school office.